Arrive at Roomzzz Nottingham and drop your bags off so you don’t have to carry them around all day. If you’re driving, take advantage of the secure underground parking at Roomzzz. It’s only £10 and you can leave your car there before you check in and after you check out. This gives you maximum time to explore the city. If you’re coming to Roomzzz on the train, it’s only a 20 minute walk from Nottingham Train Station to Roomzzz Nottingham. 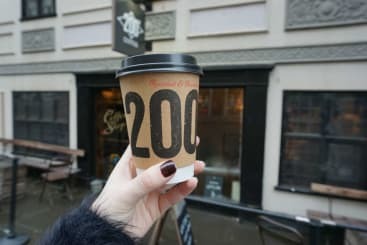 So take a steady stroll through the city – grabbing a coffee from 200 Degrees on the way – or hop in a taxi to make the journey quick and easy. Brunch at Delilah. By now you’ll probably be quite hungry by now so head straight to Delilah from Roomzzz Nottingham. 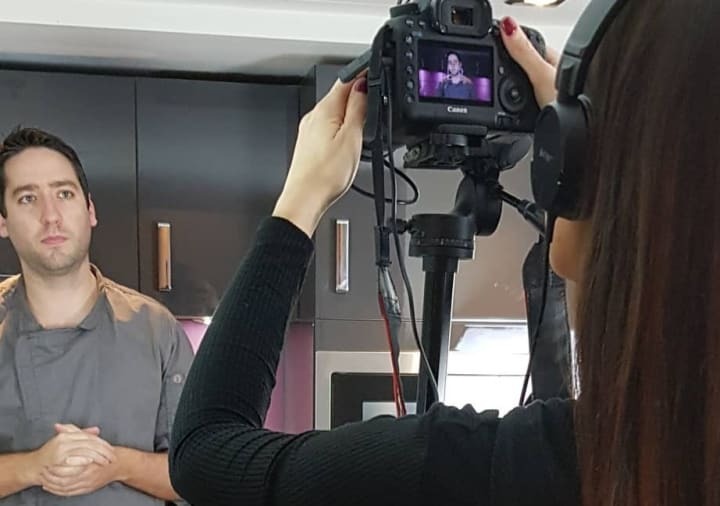 Take a seat at a table on their mezzanine floor, and peruse Delilah’s menu which includes dishes such as French toast, smoked kipper, gourmet breakfast, and avocado on toast. If you want to take a bit of Delilah home with you, there’s a fully stocked deli on the main floor with locally sourced produce. 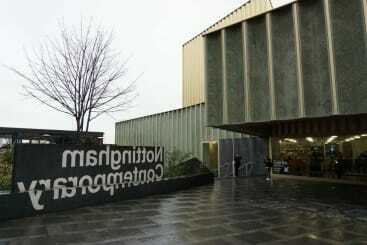 After brunch, head to the Nottingham Contemporary. 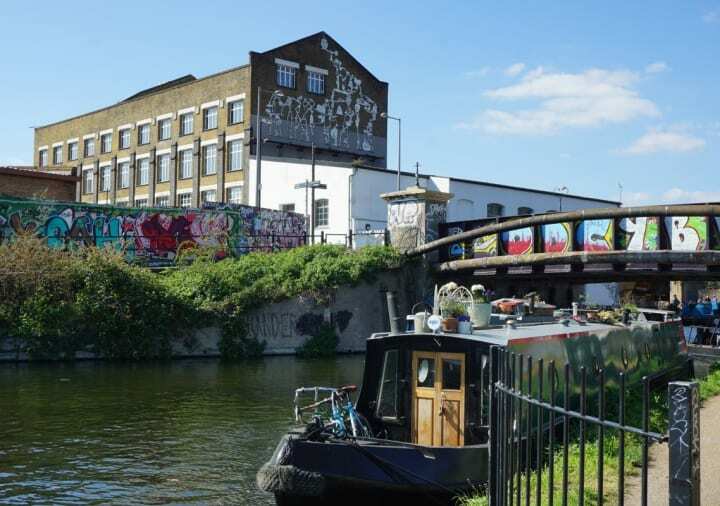 This small but engaging art gallery is the perfect way to spend an hour of the day. The exhibitions change often here but each is meant to be visually pleasing and thought provoking. Make your way through each of the galleries before ending your visit with a little browse of the gift shop which is full of quirky gifts and individual pieces of art. Head to Broadmarsh Shopping Centre for a true Nottingham experience. 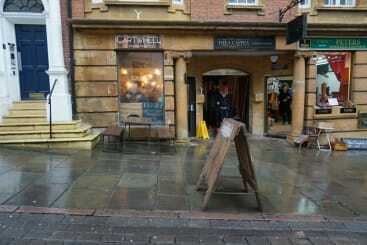 There are caves all around Nottingham and the most easily accessible one is just at the entrance of the shopping centre. During the week, you’ll be able to take an audio tour through the caves but at the weekend, actor led tours really bring the caves to life. The cave guides explain the archaeology of the caves and tell you all about how they were once used as dwellings for the people of Nottingham. Ensure you’re wearing good shoes as there are 29 steps down to the caves and the floor can be uneven in places. Nottingham Arboretum is a short walk away from Roomzzz Nottingham so it’s the perfect place to go before heading back to freshen up for the evening. This place is Nottingham’s oldest park and contains several award winning trees. There’s a tree trail you can take through the park where you’ll be able to see several of the 65 species of trees in the arboretum. Alternatively, wandering around the arboretum is a relaxing experience – you wouldn’t think you were in the centre of the city at all. 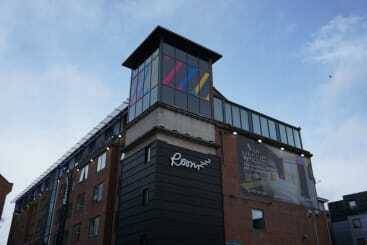 After a busy day, it’s time to check into Roomzzz Nottingham and freshen up for the evening ahead. Settle into your room, then have a little snooze in the comfortable bed or catch up on a bit of TV before stepping into a warm shower. Tea, coffee and milk are all provided in the room so you can quench your thirst too. 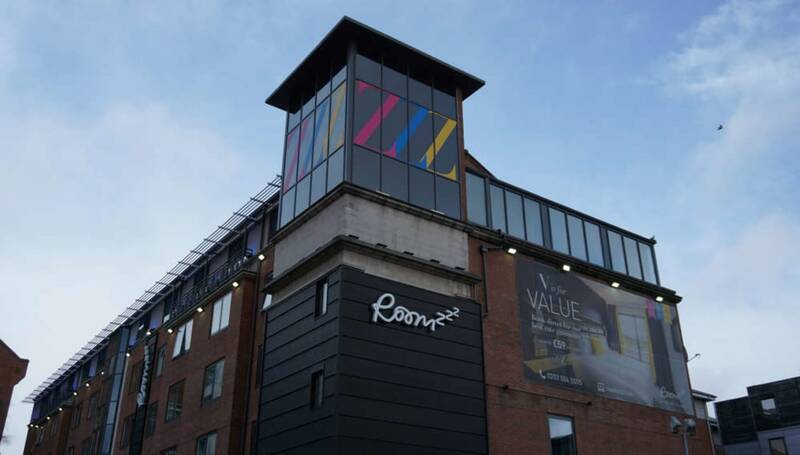 Roomzzz is located only a couple of minutes’ walk from the city centre so whatever you have planned for your evening in Nottingham, you’re never far away from the action. 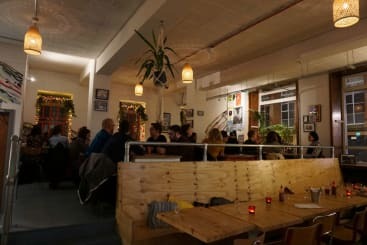 Oscar and Rosie’s is regularly called the best pizza in Nottingham. And we can confirm that it is really, really, good. Book a table in advance at this down to earth restaurant and get ready to enjoy one of the most delicious 14 inch pizzas you’ve ever had. Oscar and Rosie’s also have metre-long pizzas – could you manage one to yourself? 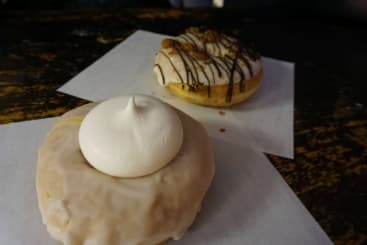 – and there’s a great vegan and gluten-free section too so Oscar and Rosie’s really is a place that everyone can enjoy! One of the main advantages of Roomzzz is that you don’t have to get dressed for breakfast. Throw on your casual clothes, go to the Grab and Go area and fill your bag with a selection of fresh pastries and fruit. There’s also fruit juice on offer and you can pick up your morning coffee from the machine here too. Now go and enjoy your breakfast in bed for a leisurely couple of hours before the day begins. Check out of Roomzzz Nottingham and be one of the first people of the day to visit Nottingham Castle. This castle was originally built by William the Conqueror in 1067 as a motte and bailey design. 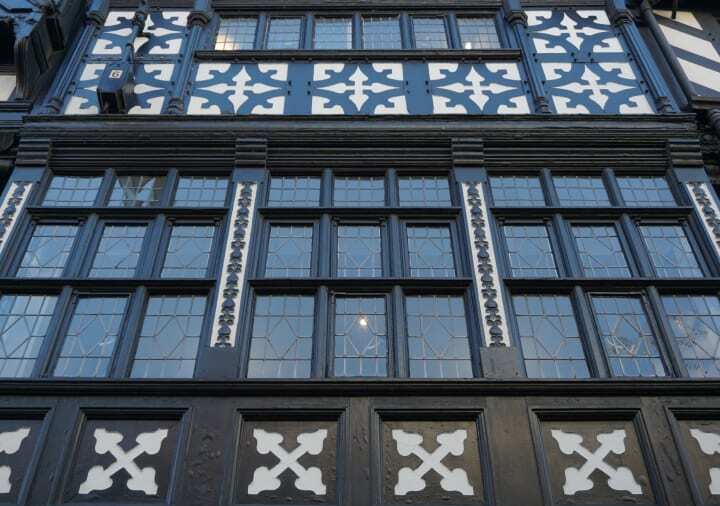 Since then it has been added to, demolished, rebuilt, burnt down, and finally remodelled in 1878. Underneath the castle, you’ll find a maze of more caves which date back to medieval time and there’s more than 300 steep steps into the depths of the caves. Taking a tour here is a must to learn all about the history of this amazing places. 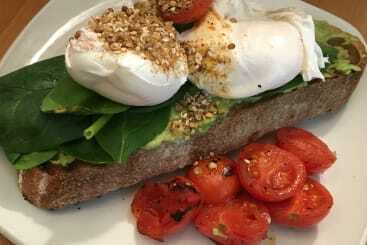 Brunch at Cartwheel Coffee and Roastery is something you really shouldn’t miss out on. 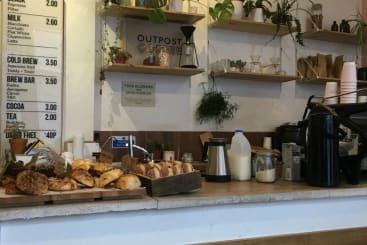 It looks like a tiny coffee shop from the outside but inside you’ll find a delightful coffee shop with great service and even better food. Pick a table by the window or alongside the industrial style subway tiles and settle in for a good brunch in Nottingham. The smashed avocado and eggs are something you won’t regret ordering and when paired with a latte or a mocha, well, it’s a meal you’ll definitely want to put straight on Instagram. Either pick up your car from Roomzzz or catch a bus to Wollaton Hall. 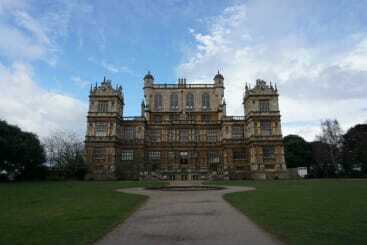 This historic house, which is around 20 minutes outside of Nottingham city centre was used as the setting for Batman’s home, Wayne Manor, in The Dark Knight Rises. As well as being an impressive filming location, Wollaton Hall is also home to a Natural History Museum and a Deer Park. Step into the house to admire the architecture or wander around the grounds to spot the red and fallow deer that roam freely on the land. Entry to Wollaton Hall and Deer Park is free but if you’re parking it costs £3 for 3 hours or it’s £5 if you’re staying all day. It’s time to head home. Although it’s a whirlwind 36 hours in Nottingham, you’ll get a good taste of what this city has to offer. There are plenty of food options and a lot of culture to soak up. The best part though, there’s still plenty more to discover if you’re to come back again. Have you visited Nottingham before? Have we missed anything out of this epic 36 hour guide to Nottingham? 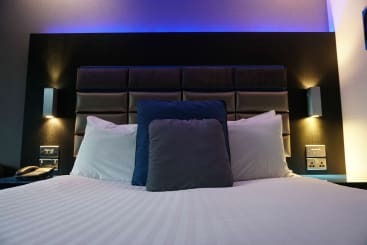 If you’d like to visit, you can book online to stay at Roomzzz Nottingham. Also, don’t forget if you use #Roomzzz on social media, you could win a free stay at a Roomzzz location of your choice.